I'm not going to quite call this the Tamas Katai week at Metal Reviews, since I was only able to get through one of the latest releases associated with this talented Hungarian musician now residing in Scotland. Who is Tamas Katai, you may ask? He has been a resident on these pages for a long time, mostly as a mastermind behind eclectic post-rock act Thy Catafalque. Neolunar, Tamas says, is a "decidedly non-metal affair". I might agree as this self-titled release does not possess anger, negative emotions or harsh rhythms, yet one more time Tamas showed that he is a master of dark electronica. If in Thy Catafalque these are mostly airy (or watery in the case of Tuno Ida Tarlat) inserts into the overall fabric, and in Gire Tamas is after tough industrial edge, then Neolunar is electronic music positioned into nightly and decidedly urban setting, and that was the judgment I made well before seeing the title of The City present on the album. Tamas may call Neolunar nightly jazz, or jazz noire, and listening to many compositions on the album it is easy to imagine running neon lights (Neolunar Architecture), city waking up to its daily weirdly vibrating hustle and bustle (The City) or autobahn flickering by at fast speeds (Munchen – Hamburg). Some corners of this city are darker, mysterious, full of adventure and processed vocals (Avenues (The Way We Leave)), but overall vocals on Neolunar are somewhat sparse and mostly of the detached kind (Neolunar Architecure, Sand Into Wave). Many Neolunar compositions are carried by Tamas' trademark pulsating rhythms, but Reading Room Rendezvous and Blue Swans take on indeed jazzy changes, even if Blue Swans is more elegiac and nocturnal, wandering along to the wirebrush percussion. 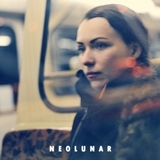 In addition to rich synthesizers, Neolunar employs Gypsy violin (Reading Room Rendezvous), and has saxophone guesting in a number of places (The City, Stations, Blue Swans), and that instrument brings out a definite touch of fragile humanity to the overall electronic nature of the album. Haar and Sand Into Wave take on a slightly different angle. Haar is quite earthly, a lot less artificial in terms of sound, and incidentally the heaviest tune on the album, and could pass for one of Thy Catafalque short intermissions, but it never becomes severely punitive. Sand Into Wave starts out surfing the beach, and is overall loose and relaxed, vocals reminding me a bit of Tiamat on Judas Christ. After this brief diversion Stations and Blue Swans bring Neolunar back into the urban dwelling environment, Stations dealing with trains, the topic Tamas touched elsewhere on Gire. As genius as Tamas Katai is, Neolunar may be touching Ekama/Didier Maruani in spots, but Neolunar is a lot less grandiose and a lot more personal. Electronic dark wave albums can be tedious, repetitive and boring, but Neolunar never becomes that. Soothing and relaxing, the album seems to shift shapes soon enough never to settle, with melodies constantly bubbling to the surface. Maybe, even too much to the surface, so you don't have to work hard at all to delve right into them. Neolunar shows that once a talent always a talent, and no matter what music he attempted to create, Tamas Katai delivered a strong statement.